Ryan Archibald (left) drove in two runs and scored the go-ahead run, in addition to pitching the final two innings, while Brandon Crews smacked a two-run home run in John Carroll’s 5-3 win over Spalding. With its junior ace absent his best stuff, it’s defense not as tight as usual and it’s base running less than stellar, top-ranked John Carroll appeared ripe for its first loss of the season when it hosted No. 3 Archbishop Spalding, on a frigid afternoon in Bel Air, Thursday. Regardless, the ever resilient Patriots (15-0 overall, 11-0 MIAA A) found a way, defeating the Cavaliers, 5-3, to remain two games clear of the field at the top of the MIAA A Conference standings. The game ended when third-baseman Hunter Tipton made a diving stop of a smash off the bat of Spalding’s Justin Pelletreau, with the bases loaded and two outs in the top of the seventh. Tipton, who entered the game in the sixth when Ryan Archibald went to the mound, scrambled to his feet and fired across the diamond where Patriot first-baseman Johnny Galant dug the ball out of the dirt for the final out. Archibald, who drove in John Carroll’s first run with a double off the right-field fence in the first inning, broke a 3-3 tie when he scored on a throwing error in the fifth and he added an insurance run with an RBI single in the sixth. He also pitched the final two innings, surviving a hit batsman and two walks in the seventh with a pair of strikeouts and Tipton’s defensive gem. Nick Collier, who has been absolutely brilliant this spring as John Carroll’s No. 1 pitcher, returned to the mound after missing a start with a groin injury and never really looked comfortable. He went to a full count with the first four batters of the game, walking two and striking out two before getting out of the inning unscathed with an infield ground ball. Collier’s first pitch of the second inning, however, was driven high and deep into left-centerfield for a majestic 400-foot home run by Pelletreau, tying the game at 1-1. Collier got the next three Cavaliers in order, worked through another jam in the third and pitched a 1-2-3 fourth, but he did not survive the fifth. Junior Brandon Crews hit a two-run home run to straight away centerfield, off of Spalding starter Dan Elliott, in the bottom of the fourth to give the Patriots a 3-1 lead, but Spalding loaded the bases in the top of the fifth with no one out as Collier walked Alex Green and Peter Godrick before hitting Jon Brandt. At that point John Carroll manager Derrior Siler went to the bullpen and summoned Ben Pika, who nearly extracted the Patriots from the jam. Pika started off with a strikeout of Josh Moylan and then got what should have been an inning-ending double-play ground ball to short. The Patriots got the force at second but the relay to first was wide of the bag, allowing Green to score Spalding’s second run and advancing Godrick to third. Godrick then scored the the tying run when JC shortstop Nico Santoro also threw wide of the bag, before Pika struck out Pelletreau to end the inning. Archibald led off the home half of the fifth and was hit by a pitch by Spalding lefty reliever Spencer Sherman. Sherman then picked Archibald off of first, but Archibald was able to reach second, with a stolen base, when the Cavaliers could not execute the rundown. Sherman then had Archibald leaning the wrong way once again at second, but his pickoff attempt went into centerfield, allowing Archibald to race home with the go-ahead run. In the JC sixth Galant, who was 3-for-3, singled with one out and Grant Astle followed with another single, setting the stage for Archibald to drive in an insurance run. According to Crews, team leadership is the reason the Patriots have gone undefeated this far into the season and are able to find a way to prevail in the tight games. 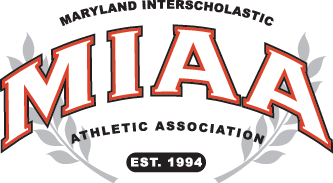 With the loss, Spalding (12-5 overall, 6-3) fell from third to fourth in the league, a half game back of red hot Calvert Hall, which defeated Gilman (sixth place, 5-6), 6-2, to move into third-place. Archbishop Curley, which routed McDonogh, 15-2, remains in second place at 9-2 in the league and defending champion Loyola (6-5), which downed St. Paul’s, 11-4, is in fifth place. Pictured above: Brandon Crews crosses home plate as his teammates wait to celebrate his two-run home run that gave John Carroll a 3-1 lead in the fourth inning of its 5-3 win over Archbishop Spalding.